Home News Opinion What is a Good Notification Period for Changes to Material Formulations? Upstream Oil and Gas and Olefin Polymerisation—A Strategic Fit? What do MD&M East, Lotus 1-2-3, Microsoft Word, a Music CD and a Mobile Phone Have in Common? What is a Good Notification Period for Changes to Material Formulations? Source: Julian Brown, press and public relations photogtrapher, courtesy of UK-based charity Shelter. Sam Anson, managing editor, Medical Plastics News. On the fourth day of MD&M East, Thursday June 20, 2013, Vipul Davé, director of R&D for Johnson & Johnson’s global over the counter (OTC) technology division, will chair a conference called Medtech Polymers. The day will feature a number of interesting papers relevant to readers, including the following selected subjects: the future of biomaterials (Vascular Sciences), suture and fibre materials for cardiovascular device components (Teleflex), polymeric bioresorbable vascular scaffolds (Abbott), catheter development (Daikin), antimicrobial parylene coatings (Specialty Coating Systems), laser micromachining (Resonetics), MEMS intraocular drug delivery devices (Exponent). An important issue for medical device quality control professionals is change control, also known as formula lockdown—the phenomenon whereby a supplier of a material agrees to provide a minimum period of notice before changing ingredients in a material formulation or making a material obsolete. When an ingredient changes, a medical device manufacturer must inform regulators of those changes in order for the device to maintain its clearance in the market. A supplier who doesn’t tell its customers that it has changed one of its ingredients is at risk of making the manufacturer liable for any issues caused as a result of the change. By contrast, a supplier who agrees to give notice when changing ingredients gives its customers plenty of time to notify the regulators of the change and line up alternative formulations to maintain its compliance in the marketplace. There are variations from one supplier to the next when it comes to change control policy. Some suppliers are helpful when it comes to notification of change control. These provide notice that they plan to change one or more ingredient in a customer’s device. The minimum requirement is that a supplier tells a manufacturer when they have changed an ingredient. But smaller suppliers, perhaps new entrants in the medical device sector, may not fully understand the device manufacturer’s position with respect to what happens when an ingredient changes. When these companies don’t inform their customers that they have changed one of their ingredients, no matter how small, this can cause a problem for a device manufacturer. Suppliers change formulations more often than one might expect, not realising the consequences further downstream. Even if the change does not have a noticeable effect on the properties of the end material, a change means a device manufacturer must requalify the material. Medical device manufacturers will maintain very close relationships with suppliers to try and be aware of changes. Change control agreements place an obligation on suppliers to notify customers prior to making any changes to formulations and ingredients. 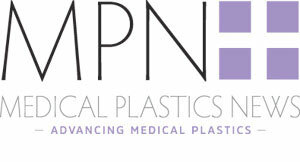 Medical Plastics News is in the process of canvassing opinion on what the best practice is in terms of how long materials suppliers should agree to give in terms of notifying customers before changing an ingredient, no matter how small. So far responses have ranged from 5 to 10 years in long term implantables and 18 months for products in contact with tissue for up to 30 days. The situation is complicated by the fact that an OEM may have up to three tiers of suppliers, all of which need to be on board with change control notification. The issue of change control also affects manufacturers in other industries, including automotive, aircraft and consumer electronics manufacturing. In my opinion, the period for change to material formulations must be minimised so it avoids disrupting the ongoing supply of the medical device concerned. Clearly, the timescales to which this equates will vary depending on the materials affected, the magnitude of the change and the availability of alternatives. Product designers and manufacturers go to extraordinary lengths to ensure components and materials are fit for purpose in terms of functionality, specification and regulatory compliance. The time from concept to production can be years and ideally the supply chain should not enforce any changes at all. Practically, of course, we often see the consolidation or rationalisation of product ranges, most frequently by large multi-national raw material manufacturers. The consequences are costly, time consuming and far-reaching. I would suggest the minimum notice period should be at least one year before the availability of any raw material is affected. However, in my opinion, best practice would be for each and every tier of the supply chain to collaborate and ensure necessary changes can be carried out with due consideration given to the implications at every level. This may sound idealistic yet it would – and does – work. Silvergate Plastics works closely with a number of medical device manufacturers and fortunately, in most cases, any enforced changes have been managed with transparency and the necessary momentum. That said, organisations such as our customers and ours are often the most impacted because urgent action must be taken to ensure continuity of supply. In simple terms, such organisations are the ones held accountable by those closest to the supply chain, and the organisations that cause the need for change are often remote and faceless. Formulation control is extremely important to Silvergate and consequently both developmental and operational processes have been engineered to offer total peace of mind to our customers and theirs. At the early stages of material selection, each raw material that makes up the masterbatch is carefully sourced to ensure regulatory requirements are met and that neither changes nor withdrawals of ingredients by the supplier are forecast. At the point of product conception, computer controls prevent any unsuitable ingredients being part of a masterbatch formulation. Following approval by the Technical Manager, the formulation is ‘locked’ so it can never be changed. Ultimately, every raw material – the same grade, from the same supplier – is used in every single batch for a product’s lifetime. Every order is also controlled by a computer system that identifies the inclusion of only the correct raw materials in the required quantities before forming a ‘Bill of Materials’. As a final check, FTIR testing takes place to provide evidence that every batch of finished product is identical to the original sample submitted at the prototype stage. Although this process is not the norm for the industry, we adhere to it to provide a clear and concise audit trail, which assures the device manufacturer, supplier and end user. Any material supplier that makes any ingredient change at all, without the consent of the device manufacturer, would be irresponsible. Equally, any substitution of material with ‘equivalents’ would also be inappropriate. Why should a colour formulation be treated any differently than if it were a food or pharmaceutical product, given the potential risks of device failure or non-compliance? Our experience tells us that in the majority of cases, it is the consolidation and/or withdrawal of specific polymer grades that cause the biggest disruption. Given the global quantity of polymer consumed by medical device manufacturers is a fraction of the total global consumption, there is little ‘buying power’ to influence any large volume producer to changes its behaviour. If, for example, at least a year’s notice of an enforced change, and consistency and clarity around that change, were given, then contingencies and material change programmes could be initiated. Such contingencies implemented at Silvergate have involved the purchasing of sufficient stock either to last until the end of the product lifecycle or to allow a structured and measured change process to occur without disruption to the supply chain. On reflection, it is most practical and more achievable to address the requirement for collaboration throughout the supply chain than to speculate about an appropriate generic change notification period. As its primary objective, the whole supply chain has a duty of care towards the device user, whilst being supportive of all partners involved. For those interested. Ketonex Limited is a small business based in Oxfordshire specialising in PEK type polymers. We work with clients to produce materials based on customers' performance to meet those performance specifications. So where a client is unable to obtain a commercial material for an application they provide Ketonex with a performance brief from which Ketonex designs the polymer molecule and then produces it. Ketonex and the client then evaluate that material and introduce changes where required and re-evaluate. Ketonex can then scale-up to multi kilo scale to facilitate trials. Beyond this level Ketonex is discussing agreements with volume producers to enable further scale-up. The very simple answer is: as long as possible. I experienced this exact situation a while ago. The supplier simply changed the polymerisation catalyst. This apparent trivial change resulted in our formulation failing in the field. It too over two years to re-formulate the product at both a significant financial and customer relations cost. As you say, many suppliers are unaware of the problems apparent small changes can make. The particular product we were making at the time was for an industrial application and did not require formal re-certification. If it had been a medical or aerospace application then the situation would have been much worse. So, the longer the better!